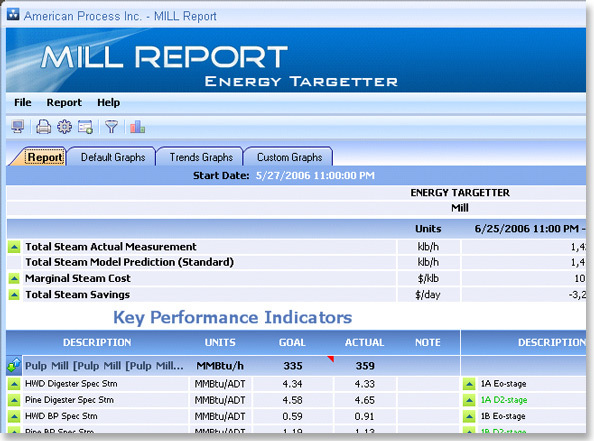 Energy Targetter® is designed to track energy performance on a daily basis. Patented method for setting departmental and unit operation energy consumption targets. Uses neural network modeling to examine relationships between operating parameters and energy consumption. Knowing your facility’s past performance yields a path to improvement. American Process expertise in examining the most important operating parameters. Key Energy Parameters (KEPs) help identify operator-controlled settings affecting unit performance. Robust platform for comparing trends and relationships throughout your facility. Trend plotting for predefined KPIs as well as custom trends and diagnostics. Custom alarm settings for alerting when performance is off-target. Individual client configurations for each user to have his or her own custom alerts and charts. Daily reports can be exported in Excel format or HTML for sharing on a facility’s internal network. 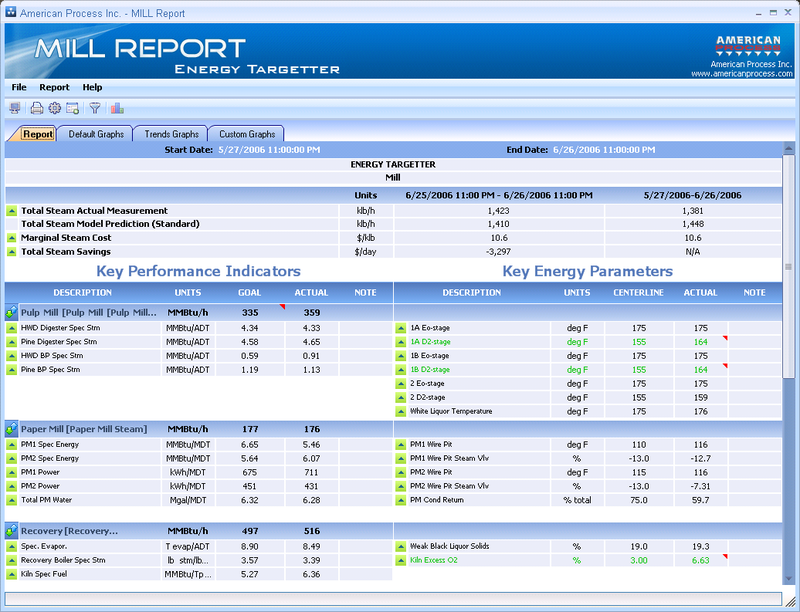 Energy Targetter® server automatically updates installed clients daily. Identify the source of energy consumption problems. Track the performance of projects and process changes. Rapidly identify energy consumption creep.